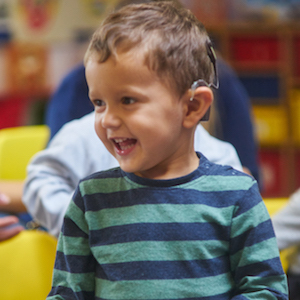 Welcome to the first lesson in the Let’s Listen and Talk toddler programme! Being a toddler is an amazing time of rapid learning and development for children, as they find out more and more about the people and the world around them. Parents are their child’s first and best teachers – so this is an exciting period for both you and your child! We have divided this lesson into a series of short topics so it is easier for you to complete. Take a look around this sample lesson – it won’t record your progress as this facility only works if you are enrolled on the programme. You will also not be able to see or complete the end of lesson feedback form. So let’s get started on this lesson by clicking on the first link in the table below!